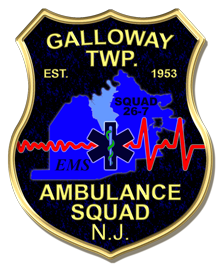 The Galloway Township Ambulance Squad spends a lot of time outside of our buildings providing EMS and first responder services not only to Galloway Township, but the many other towns and municipalities around the county. 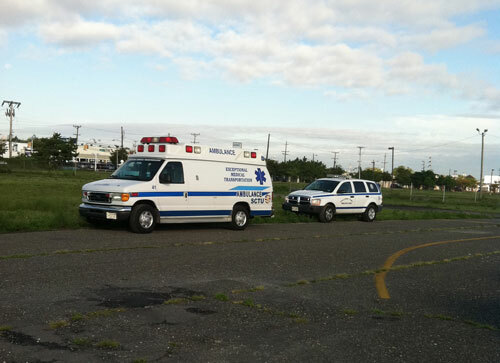 GTAS regularly is in attendance at large events in Atlantic City, structure fires around the county, sporting events and participating in parades and celebrations. The 10th USGA Men's State Team Championship was held in Galloway this year, and GTAS was on site to provide emergency medical care. 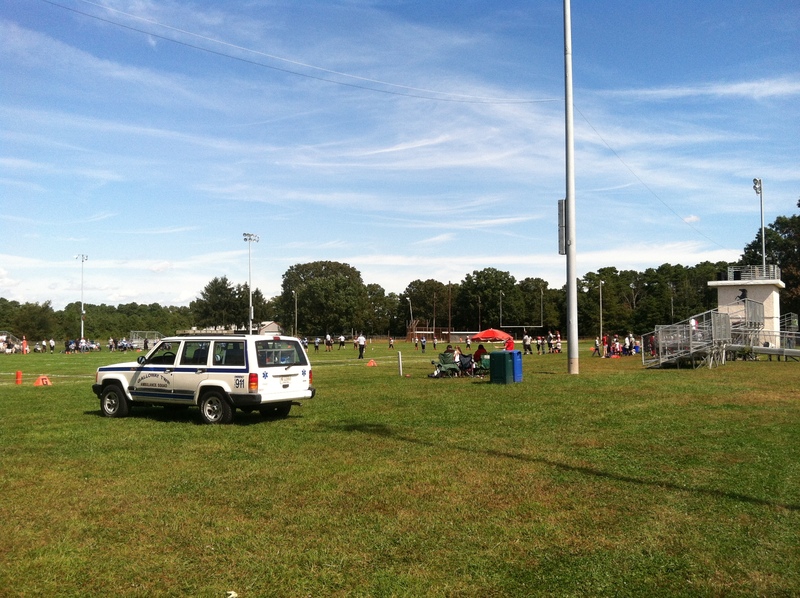 26-71 on location at Gabriel Field. 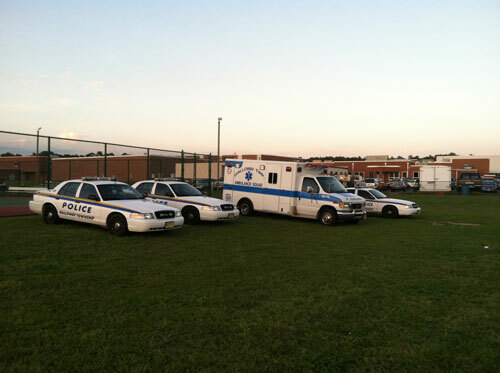 The Galloway Twp Ambulance Squad was standing by at Gabriel Field for the Mustangs Football game. 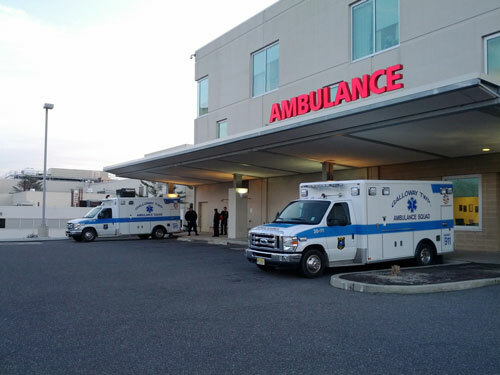 First Responder unit 26-71 is equipped with a medical bag, splinting equipment, AED, and supplies needed to stabilize a patient until an ambulance arrives. 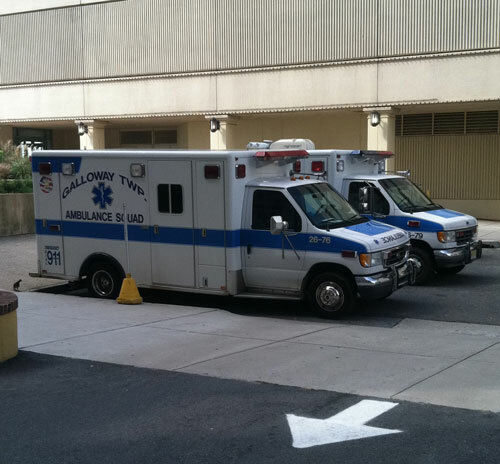 This unit is used for events that do not require a full ambulance, but still need a medical professional on site. 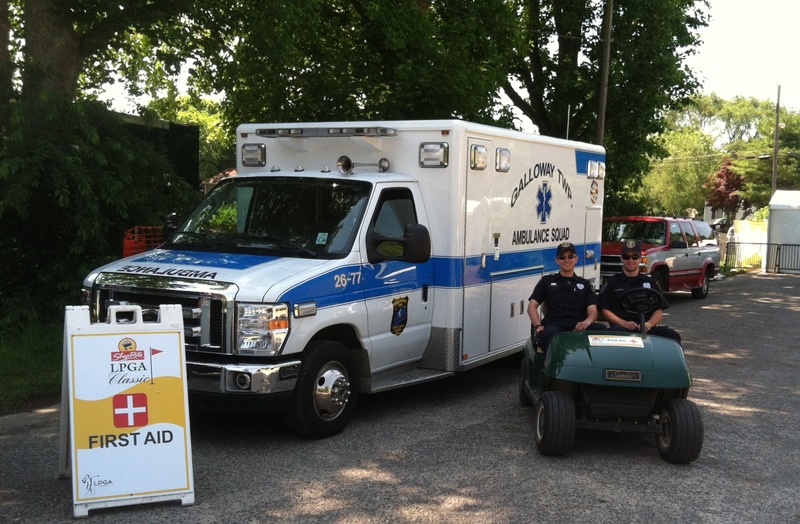 The Galloway Township Ambulance Squad was on-site providing medical care for all seven days of the ShopRite LPGA Classic. The tournament was held at the Stockton Seaview Hotel and Golf Club in Galloway Township. 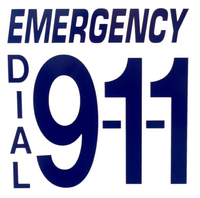 The crews staffed the first aid station and handled numerous medical emergencies throughout the event. 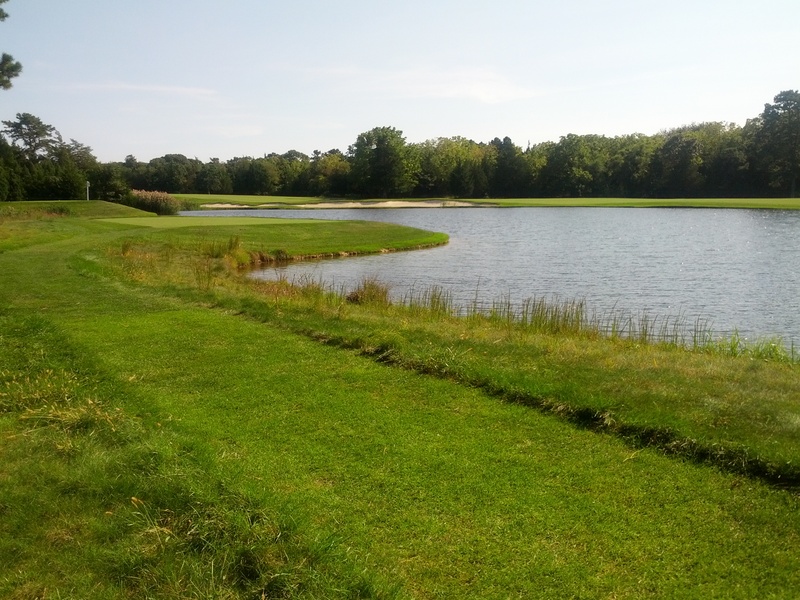 A golf cart was provided by the event staff and crews equipped it with medical equipment so they could quickly respond to emergencies anywhere on the course. 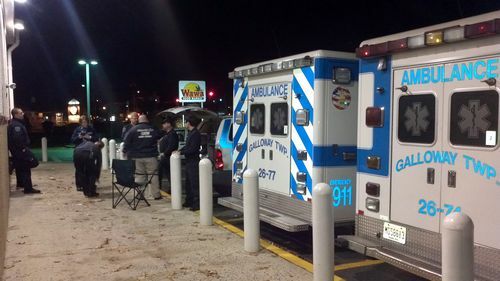 EMT Burrows and EMT Gordon staffing the first aid station. 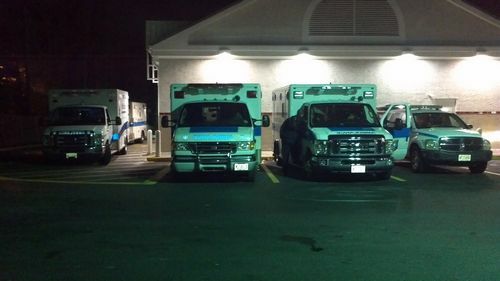 GTAS EMTs Burrows, Grentz, Jeffries (not pictured) and Wolfschmidt enjoy a moments rest between calls on a busy day in Galloway Township. 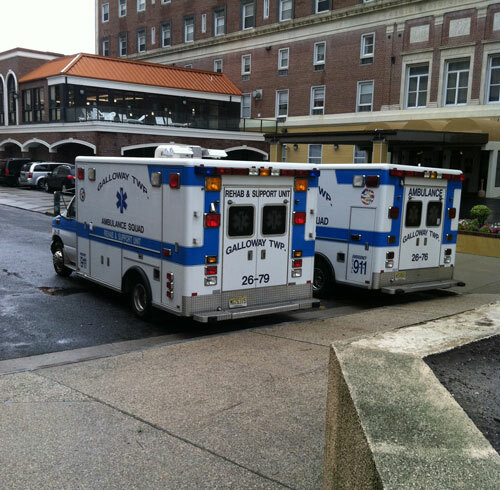 26-78 and 26-77 outside of AtlantiCare Regional Medical Center - Mainland. GTAS and AtlantiCare EMS were called on to standby for an emergency at the Seaview Golf Resort on the evening of November 20th. Police received word of a man with a gun walking through the lobby. 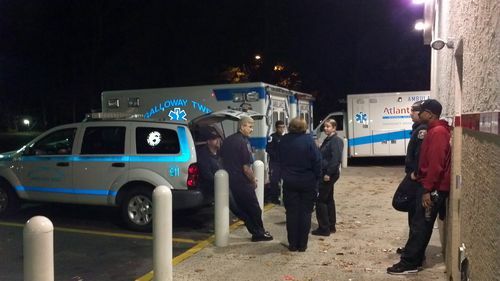 While police from Galloway and surrounding townships searched for the man, GTAS and AtlantiCare EMS were ready nearby in case of any injury resulting from the incident. See the story here. 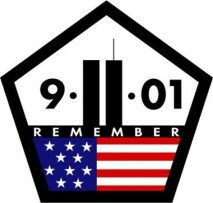 GTAS EMTs and Officers participate in the ceremonies held at the Anothony "Tony" Canale Training Center on September 11th, 2011. 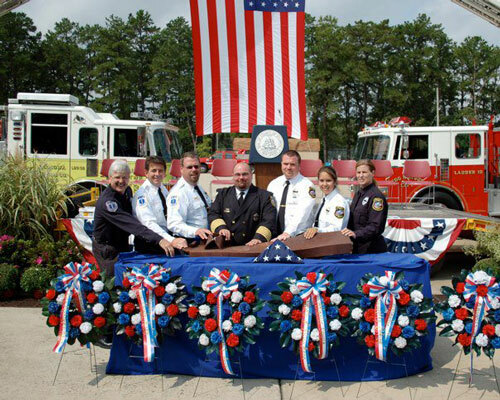 EMT Scaranda, Lt. Gentless, Lt. Adams, Chief Uhl, Lt. Jones, Lt. Rodenas and EMT Flint. GTAS standby at Absegami High School for Braves Football! 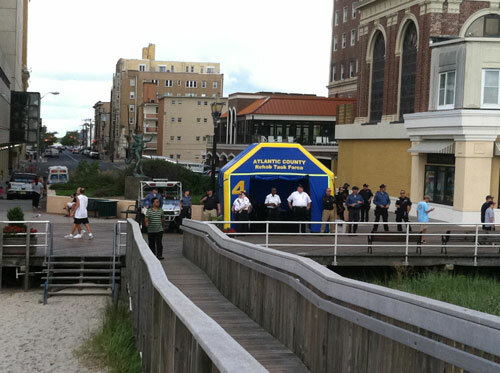 GTAS on location in Atlantic City for the Atlantic City Airshow, "Thunder Over The Boardwalk". GTAS deployed the Atlantic County Rehab Task Force inflatable tent in the event an audience member needs special attention during the summer heat. 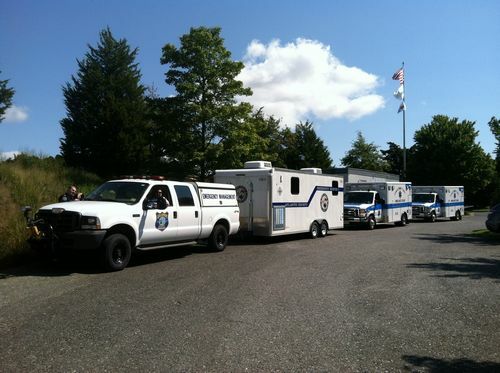 GTAS was one of many agencies from around the county who provided ambulances and staff to the airshow that over 800,000 were in attendance for. 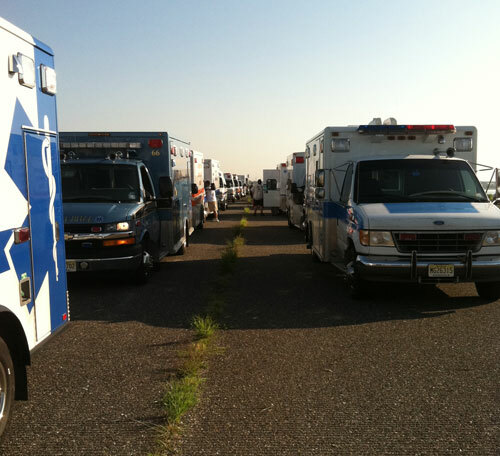 26-79 staging with several other agencies from around Atlantic County before the airshow. 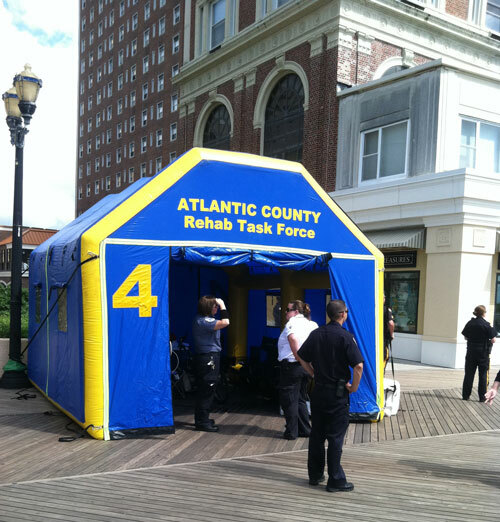 Atlantic County Rehab Task Force tent. 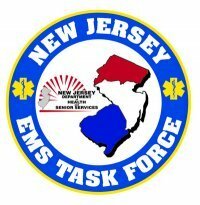 GTAS, AtlantiCare EMS, Exceptional EMS and New Jersey State Police stand ready.